Entomb your mate in a trunk and the Show-Me State will hoist your neck on a rope: Hugh Mottram Brooks found that out on this date in 1888. 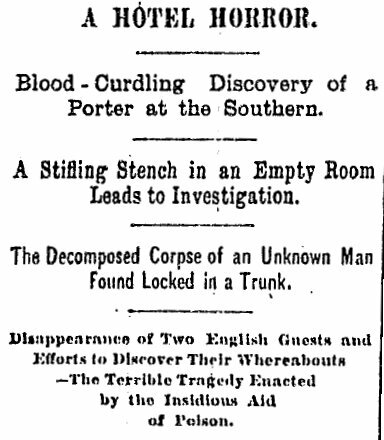 This story had made worldwide headlines within hours of the time an employee at St. Louis’s Southern Hotel had opened the door to a guest bedroom emitting a horrible stench and discovered a corpse stuffed in a trunk. Headline of the St. Louis Daily Globe-Democrat, April 15, 1885. The story occupied the entire front page. 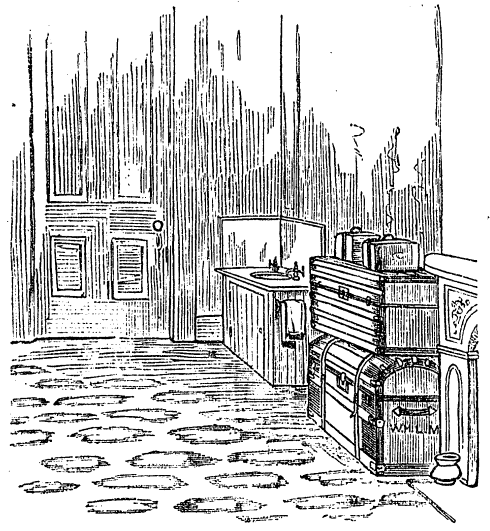 The remains, in life, had belonged to Charles Arthur Preller, an English traveling salesman who had been hanging about the hotel with his impecunious countryman, Brooks. Those two had been understood on the premises to have been involved, in the Oscar Wilde sense. But the spark for homicide was mere avarice. The dramatic note left pinned to the late Preller — “so perish all traitors to the great cause” — was almost immediately deemed a red herring, and suspicion descended on Preller’s recent companion, who had absconded with our dead salesman’s money. The wonderful 19th century crime site Murder by Gaslight covers this case and Brooks’s futile defense in meticulous detail. Aptly enough, the Trunk Murderer didn’t have a leg to stand on. 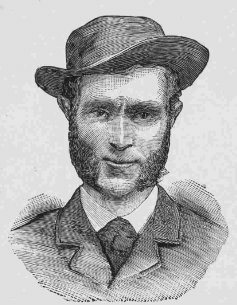 Brooks hanged along with another murderer, Henry Landgraff. 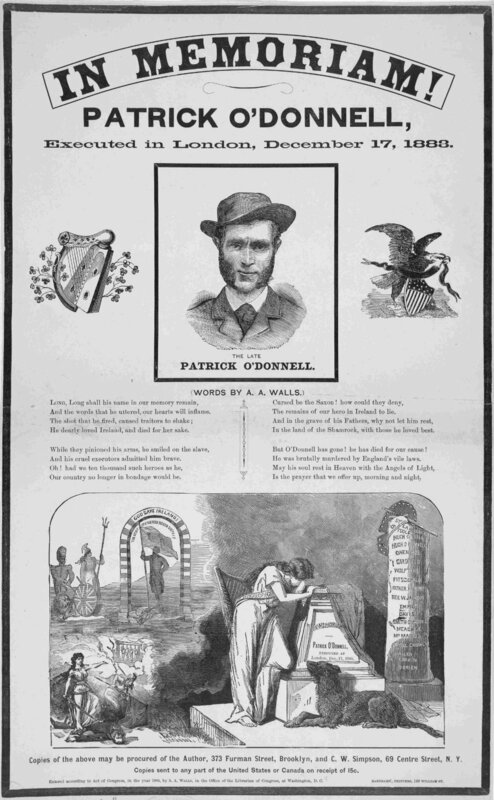 The British government did make diplomatic representations on its citizen’s behalf, but they were ignored — prosecutors retorting that London had recently given short shrift to American citizen Patrick O’Donnell.